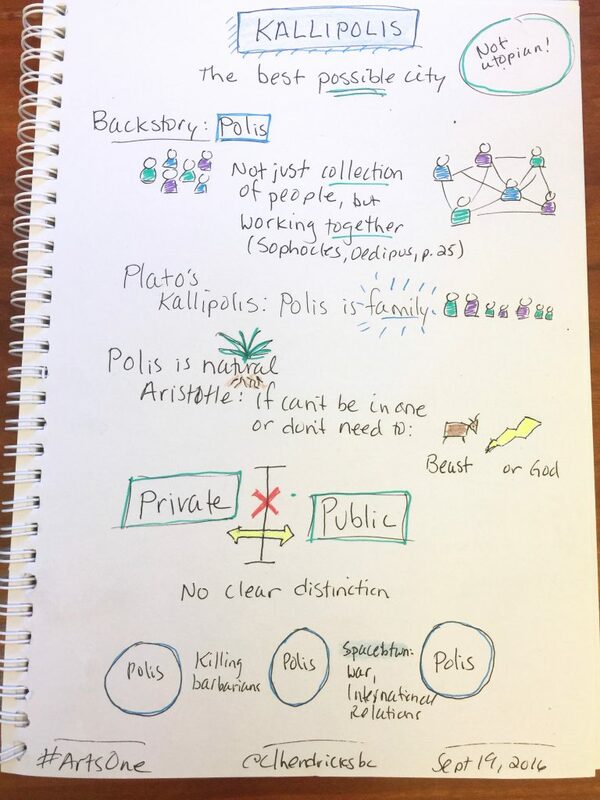 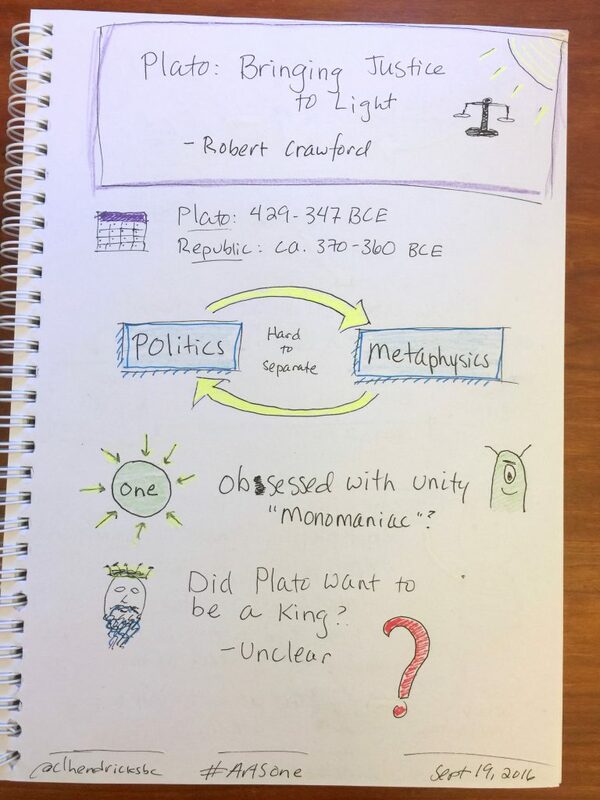 We are talking about Plato’s Republic this week and next in Arts One, and over the summer I started getting interested in doing sketchnotes–basically, trying to take notes with both images and words. 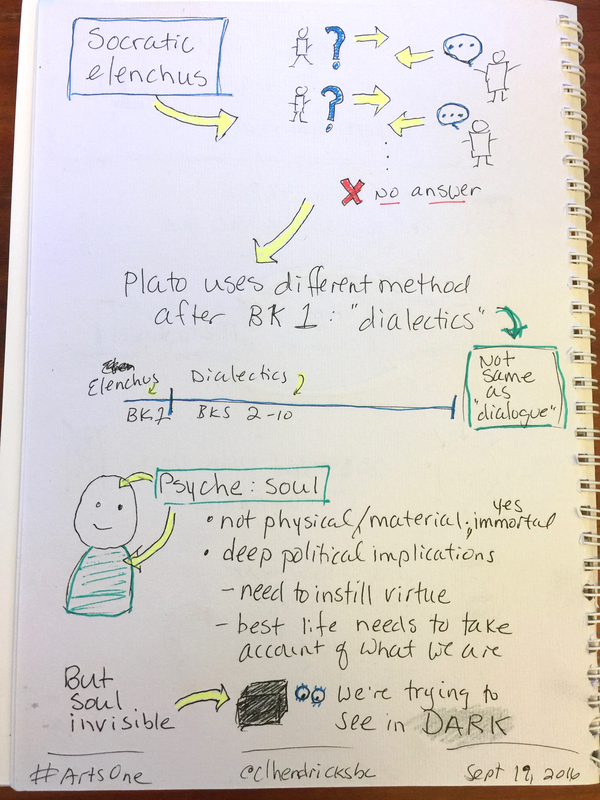 I have found this a really useful method for forcing myself to take in information and make it my own, to condense ideas down to what I think is most important, and to put that into my own “words,” so to speak. I think it helps me remember things better than just copying down as many words from a lecture or presentation as I can by typing on a keyboard (what I would otherwise be doing). 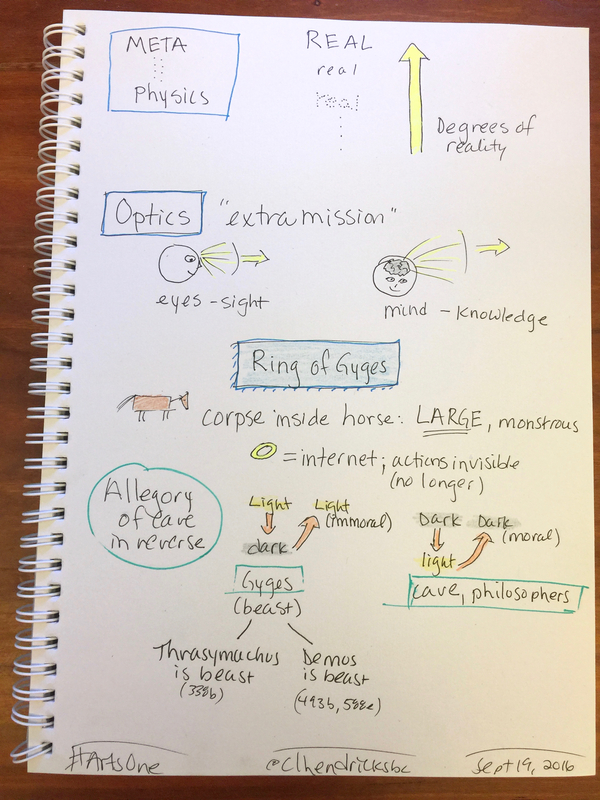 I have a long way to go before my drawings are attractive (and I’m slowly working on that), but I’ll be sharing my sketchnotes on our Arts One lectures throughout the year, here on my blog. 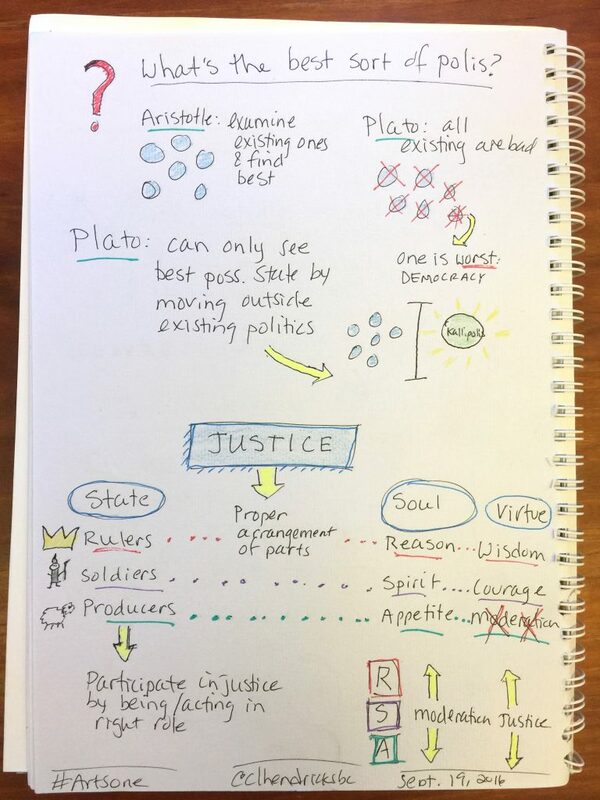 Posted in Arts One texts and tagged Plato on September 21, 2016 by Christina Hendricks.